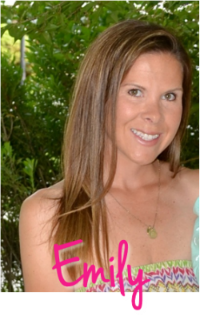 This is week 3 of Insanity and both my husband I saw changes in our bodies after just 2 weeks. I'm starting to see my abs again (like I had this past summer). We will measure and take more pictures at the end of week 4. Last Friday I skipped my workout. I wanted to do it at nap time, but Ellie and I did crafts and Summer woke sooner than expected. Then, I wanted to do it when the girls went to bed, but Summer woke again. So, I pushed the workout back to Saturday and did Saturday's pulse on Sunday, which is supposed to be a rest day. I also added an EFX workout on Sunday before the pulse. We have an elliptical, but hardly use it. After Sunday's workout I realized I really should use it more often, especially since it's been too cold outside to run. I've been still eating well with exception to an increase in snacking (I have to stop buying the girls mini peanut butter crackers from Whole Foods)! I also broke my no wine rule last week and had a glass one night. I've been eating some of the girls snacks lately because I get hungry and I don't have anything prepared. So, I have to make sure I stay on top of that and prepare snacks ahead of time for the week. I also ate more than two chocolate chip cookies yesterday. I have no self control when it comes to sweets in the house, which is why I don't buy them. Last night I cut carrots and cucumbers for snacks, and I plan to make a lentil salad today. I have been making green juice during the week and drinking a lot of water. One of my favorite snacks (and the easiest!) 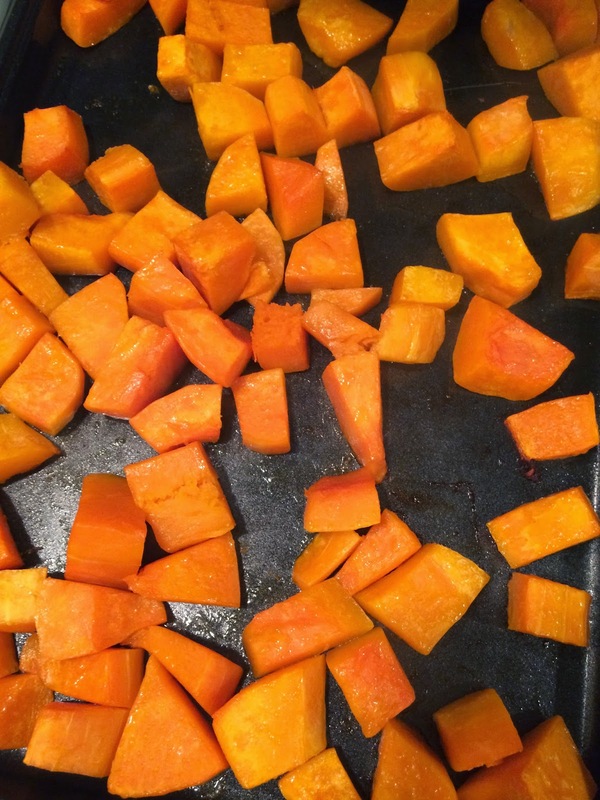 is to buy a package of cut butternut squash from Whole Foods (about $5), put in a bowl with olive oil, salt and pepper, and roast at 375 degrees for about 30 minutes. I also roasted two bags of frozen Brussel Sprouts (Trader Joe's) at 375 degrees for about 40 minutes. I prepare them the same way as above. Ellie loves them for a snack, too. 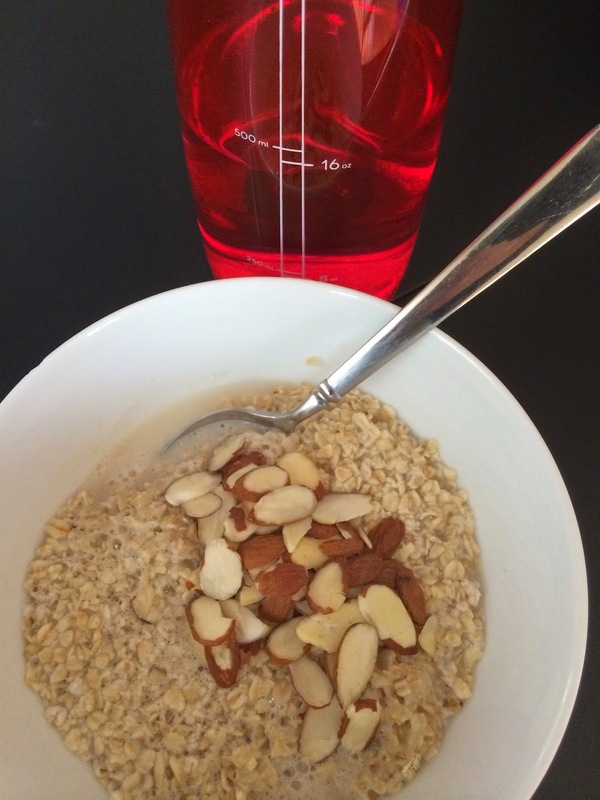 Everyday I've been eating oatmeal (in the microwave) with almond milk and slivered almonds. Coffee, too, of course. It's easy to make and even if I don't have time to sit and eat I will make it and bring it in the car in a tupperware. For lunch one day I ate asparagus and hummus, hard boiled eggs, and beets. I bought the beets in the refrigerated section of Whole Foods ready to eat. They are messy and stain easily though! This weekend after a long workout I re-fueled with one of my favorites- eggs, sweet potato, and sauteed spinach. I also added two slices of turkey bacon. Usually I make it with two over easy eggs, but Summer was eating them, too, so I made scrambled. Nick had made the sweet potatoes the night before so we had it ready in the fridge. I buy a bag of fresh spinach and it only takes a minute to cook in the pan. It's another easy meal to make if you have the sweet potato already. 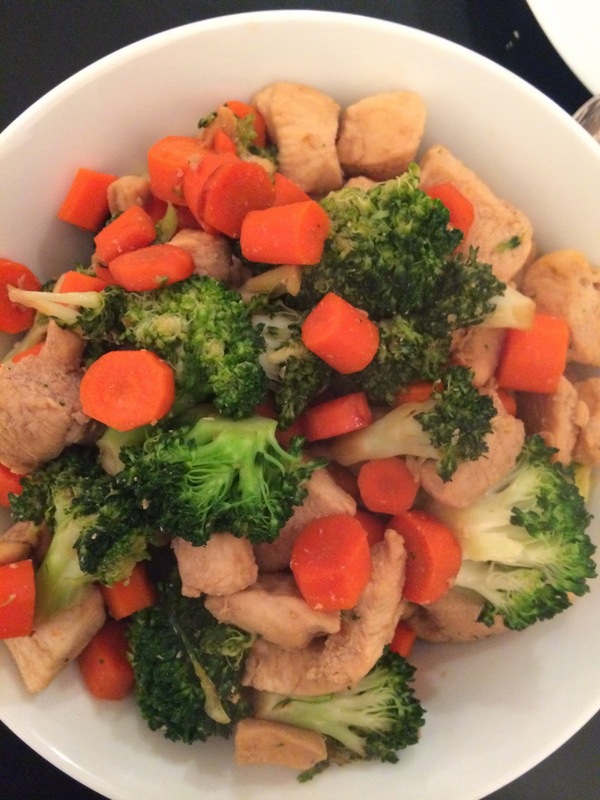 We made chicken in the wok last week with fresh broccoli and carrots over brown rice. We used the last bit of Teriyaki sauce (I usually like to add a little more for flavor). The girls like this dish, too. 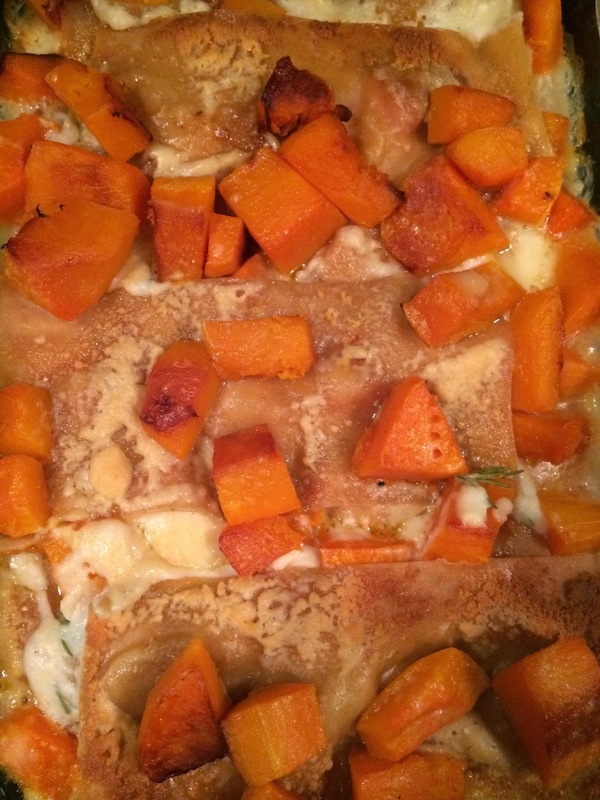 I also made our new favorite dish- Butternut Squash Lasagna. It is so good! This time I made it with whole wheat lasagna and we couldn't tell the difference. And, it's low fat. The only cheese in this dish is Parmesan cheese! I will follow up with the recipe this week.